The geospatial intelligence (GEOINT) community is at an inflection point – changing the way humans interact with where we are, what we’re doing, and how we understand and characterize activity on Earth. Technology greatly influences this revolution. And cloud computing will impact government’s mission. Cloud Migration – Cloud enables many benefits for organizations of all sizes. Adopting cloud is a journey, requiring a thoughtful strategy to optimize the benefits enabled by cloud. Technology, people, process, and business need to be considered to enable organizations to build a strategy for successful cloud adoption. Mission Relevance – From the sensor to the warfighter, it is about getting the necessary information into the right hands at the right time. How agencies collect, store, and distribute data affects their bottom-line mission. Security – Public sector customers’ workloads often must operate in a manner that meets the requirements of compliance regimes. These regimes provide a security framework and, often, a set of security controls that must be provably met in order to operate in any location, whether on-premises or in the cloud. We saw that government organizations are excited about the cloud, where it will take them, and the impact it will have on their mission. For example, National Geospatial-Intelligence Agency (NGA) is committed to lead the way for the Intelligence Community (IC) on their adoption to the cloud. Hear Sue Gordon, Deputy Director, NGA, address her vision for open collaboration and a public-private partnership here. Their goal is to get all applications and data into the cloud. By delivering services based on a cloud infrastructure, they are able to quickly deliver these services to the warfighter. In addition to hearing from NGA, there were many AWS partners in attendance demonstrating how to run data analytics in minutes, not hours. How can the AWS Cloud help? Mission Agility – By using AWS, agencies are able to respond to their mission needs with actionable intelligence at a faster rate. Cost-Effective Spending – One of the most talked-about benefits of AWS is effective IT spending. Moving existing infrastructure to AWS enables agencies to optimize their IT spending allowing them to focus (almost solely) on the mission. AWS allows you to not only focus on the mission from a funding perspective, but will also free up funding for the mission. Fast-Paced Innovation – AWS helps agencies to innovate at a faster pace and also allows for increased collaboration, so that more of the Intelligence Community can benefit from the agile cloud environment. 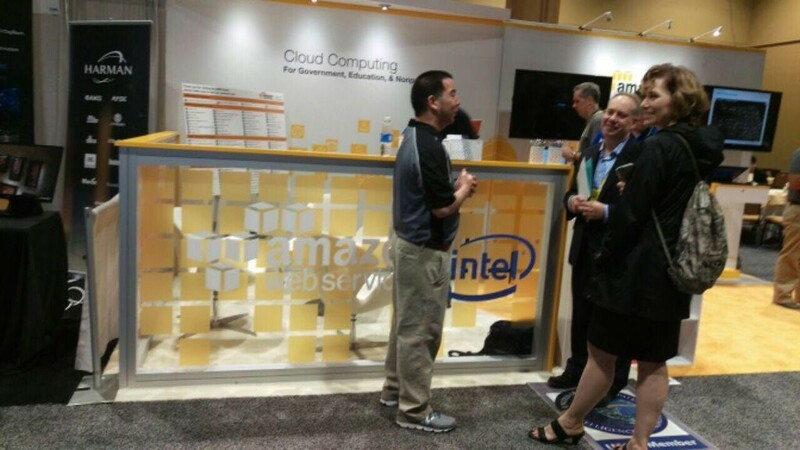 Check out the photos from the AWS booth at the GEOINT conference. 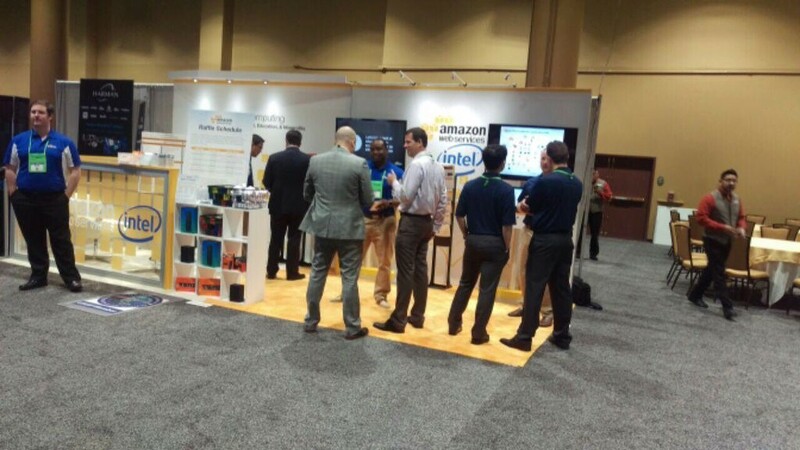 We had a great time and appreciated all those who stopped by to learn about AWS and the cloud! Learn more about how AWS can enable more mission for the money, acquisition strategies in government, and optimizing security while reducing costs at the AWS Public Sector Summit in Washington, DC June 20-21. Register for the complimentary, two-day event here.